Manchester’s so-called ‘Mr Loophole’ has found himself the on the wrong side of the advertising watchdogs. 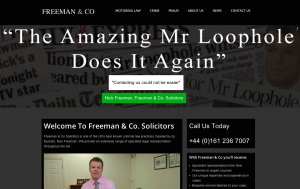 A former client of the well-known lawyer - who is best-known for helping high-profile clients facing motoring offences - complained about the way the Freeman advertised his services on the company website. Freeman’s former clients are reported to include stars from the footballing world such as David Beckham, John Terry and Andrew Flintoff as well as celebrities such as Caprice Bourret and Jeremy Clarkson. 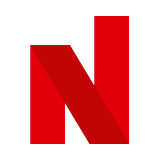 The person who made the complaint to the Advertising Standards Authority isn’t named but they felt the claim that "With Freeman & Co you'll receive - Nick Freeman's expertise and experience in cases" was misleading because they understood Nick Freeman was involved in only certain priority cases. The ASA agreed and said the advert must not appear again in its current form as it breached the advertising code and was misleading. “……we considered the claim "With Freeman & Co you'll receive - Nick Freeman's expertise and experience in cases" was ambiguous and could also be interpreted as suggesting Mr Freeman would be directly involved in handling every case as well as being available to personally discuss cases with each client. We noted the ad also referred to Nick Freeman's "success in the courtroom", which we considered might be interpreted as suggesting he would personally represent clients at court. Read the full ruling from the ASA here.